This last fall, I dyed up some peruvian wool in the most wonderful shade of autumn orange. I had intended the skein to be for a giant Jack Be Little Pumpkin, but decided that kits would be so much more fun instead! Mini's are just adorable and the perfect size for the three inch pumpkins. Each kit comes packaged in a cotton drawstring bag, making them the perfect gift for knitters or just a way to treat yourself. 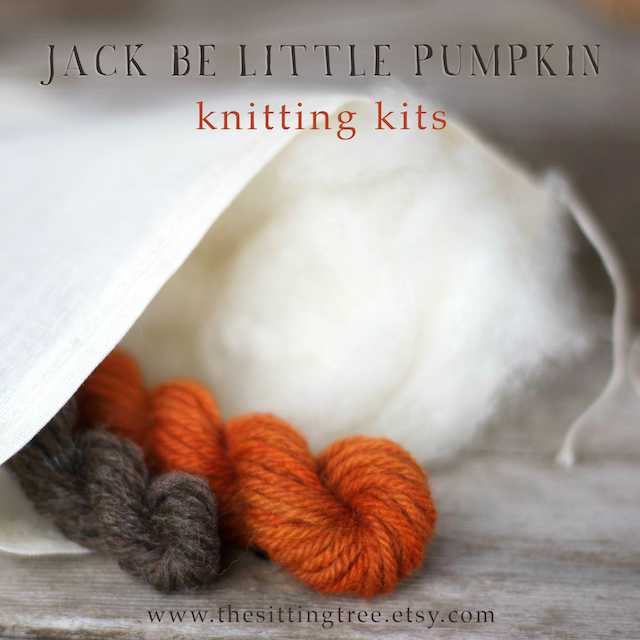 Jack Be Little Pumpkin Knitting Kits, now available in our shop!